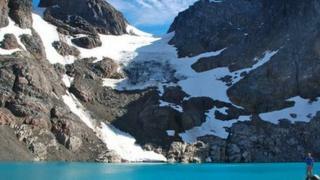 Think of Patagonia and you might think of glaciers, majestic mountains and crystal clear lakes. The region, tucked away at the bottom of South America and shared between Chile and Argentina, has long been a magnet for tourists looking to escape the rigours of urban life. Which is why the images from southern Chile in recent weeks have been so incongruous. Since mid-February, protesters have fought almost nightly battles with police in the Patagonian region of Aysen, setting up barricades and hurling rocks at armed officers, who have responded with tear gas and water cannon. One protester has lost an eye, allegedly after being shot by the police, and several others have been seriously injured. Amnesty International has urged an investigation into claims of "an excessive use of [police] force, the unwarranted use of tear gas, the use of metal pellets and possible arbitrary arrests". Tourists have been caught up in the violence. The owners of a British cruise ship, the Balmoral, cancelled its scheduled visit to the Patagonian port of Puerto Chacabuco over fears for the safety of its 1,350 passengers. Other tourists have missed flights due to the blockades. "At the peak of the tourist season, in a region where we have a lot of visitors, the country offers this spectacle," Chile's Economy Minister Pablo Longueira complained. He said his ministry had received outraged correspondence from tourists who had to cancel long-planned holidays. "The damage to the tourist industry is difficult to quantify," he added. The protests are over a range of issues but can be summed up thus: the people of Aysen feel ignored by central government. Cheaper electricity and drinking water. The centre-right government of President Sebastian Pinera has despatched ministers to the region to address the issues, so far with only limited success. The Aysen protests come a year after similar demonstrations in neighbouring Magallanes and reflect widespread Patagonian discontent with the Chilean state. These two regions are a world away from Santiago, in everything from climate to culture. Part of the problem lies in Chile's curious shape as a long, thin ribbon of land. While it is not particularly big in terms of surface area, distances are enormous. At 750,000 sq km (290,000 sq miles), Chile is about the size of Turkey or Texas. But the distance from north to south is the same as from London to Tehran or from coast to coast in the United States. Coihaique, the regional capital of Aysen, is 1,700 km (1,050 miles) from Santiago. In addition, the Patagonian terrain is formidable, making it difficult to construct roads. A huge ice field makes it impossible to travel through southern Chile without crossing into Argentina. All this makes it challenging and expensive to supply the region with basic goods. Petrol, electricity, drinking water and fresh vegetables are considerably more expensive than in the capital. "Here, a 2kg bag of potatoes costs 1,800 pesos (£2.30:$3.70)," one Aysen resident told the BBC from Coihaique, where fuel and food are running short due to the blockades. "In Santiago you can buy 3kg for 1,000 pesos." Economically, the region is doing well. Last year, Aysen's economy expanded 19.4% - three times more than the national average. Unemployment is just 3.5% compared to 6.6% in Chile as a whole. But the high cost of living is not necessarily reflected in higher wages, prompting the latest wave of protests. Part of the problem is that Chile remains politically centralised - a legacy of the 1970s and 1980s when General Augusto Pinochet concentrated power in the capital. Even now, the governors of Chile's 15 regions are unelected appointees. That is in sharp contrast to Argentina, where regional governors are chosen by the people and have much more clout. "There's an issue that should be part of the national debate, day and night, and it's decentralisation," said Esteban Velasquez, mayor of the mining town of Calama in the far north of Chile, where there were protests last year against central government. He warned that if Mr Pinera failed to cede ground to the regions, he would find himself fighting "a hundred fires" up and down the country. For now, there is little sign of an end to the conflict in Aysen. The demonstrators have garnered some support from students and left-wing activists in Santiago, who have staged dozens of their own anti-government protests over the past year. The barricades remain in place in Aysen and the riot police are on alert. Parts of Patagonia are, for now, far from being the tranquil wilderness of popular imagination. Correction 8 March: Removing reference to a boy being killed by a truck weaving through barricades, as the circumstances of his death are not confirmed.